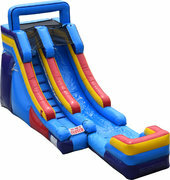 If you want to make a big splash at your next upcoming party or event, look no further than a water slide! 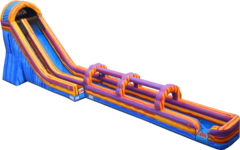 The large, towering water slides at Wace Bounce House Rentals come in a variety of themes to match your party! Each water slide invites guests to make their way towards the top, where they can ride the slide all the way down to the water pool that awaits at the bottom! 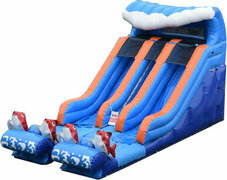 These party inflatables aren't just for hot summer afternoons, either! Depending on your needs, we can configure our water slides to be used either wet or dry. 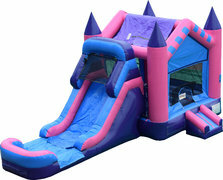 With Waco Bounce House Rentals, you get quality service and on-time delivery guaranteed with every order! 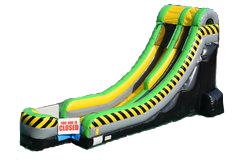 Browse our selection of water slides, and be sure to reserve yours today!